I think everyone who knows me or follows me on Instagram can easily see my love for dresses. Naturally tights are a wardrobe essential and a must have for me. I am always looking for THE brand that produces tights that give me support, stay in one place, keep me warm, and lasts for longer than a few wears. Quite frankly if I would sum up all of the pairs that I've ruined accidentally or that gave me less than 5 wears I would say that it could have paid for my holidays somewhere exotic, which would be a massive perk. You don't really need tights when you are walking along the beach with a fruity cocktail in your hand. However, I am not that lucky so when the cold weather hits I am the first one to go back into a pair of 120 den black tights. 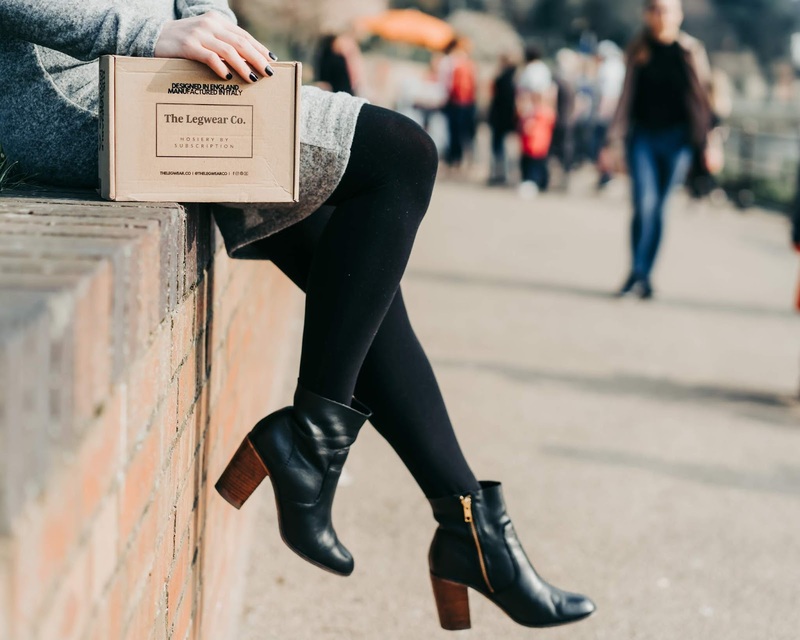 I was gifted a women's sustainable hosiery subscription box from the Legwear Co. Its as if they knew that a few days before my box arrived I said goodbye to another pair! In the box there was all snuggly packed together: 50 Denier Eco Tight (91% Recycled Polyamide 9% Elastane), 60 Denier Moisturising Support Tight (88% Polyamide 12% Elastane), and 120 Denier Moisturising Support Tight (92% Polyamide 8% Elastane). All pairs are made from recycled yarns, have Aloe Vera and Vitamin E embedded in the yarn to help moisturise your skin and control brief technology. 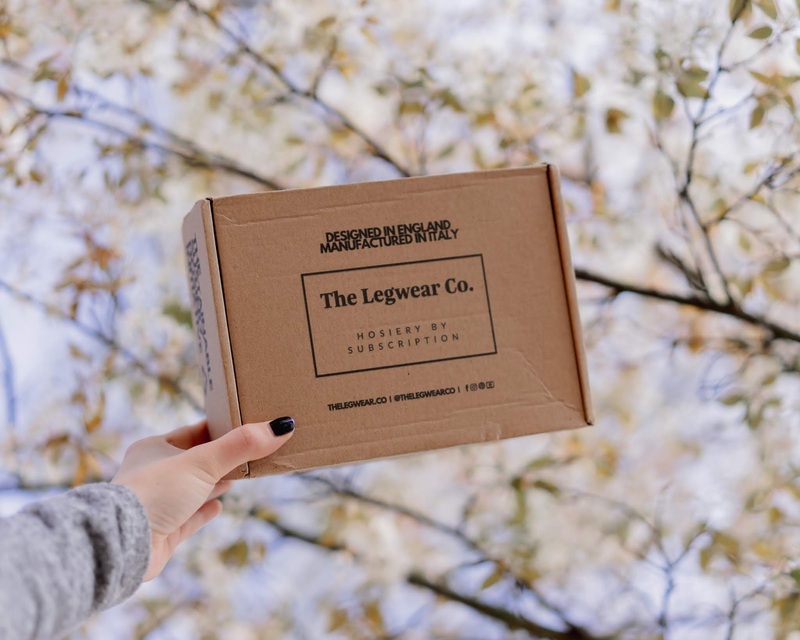 How does the Legwear Co. subscription box works? You'll receive a box with three pairs every three months. Your first box is for free, you will just have to cover the cost of postage. They are confident in the product they've researched for over 6 years so each pair comes with a 3 months guarantee so you can return it hassle free as each box comes with a prepaid returns label. You can get a free starter pack here. What do I think of the Legwear Co. subscription box? I love the convenience of the experience and product quality. They did not twist as I was walking around so that's definitely a massive plus for me as I am that kind of person that just gets irritated when my jeans' seams twist whilst wearing them. The tights are also very soft and easy to wear and they do not dig in at the waist. It is an interesting concept and I am going to follow Legwear Co. to see their progress. Keep an eye on their Instagram page, there might be another competition coming so you might be the next winner of their yearly subscription! I think that there is definitely an opportunity for them to extend their offer, selection, and sizes. 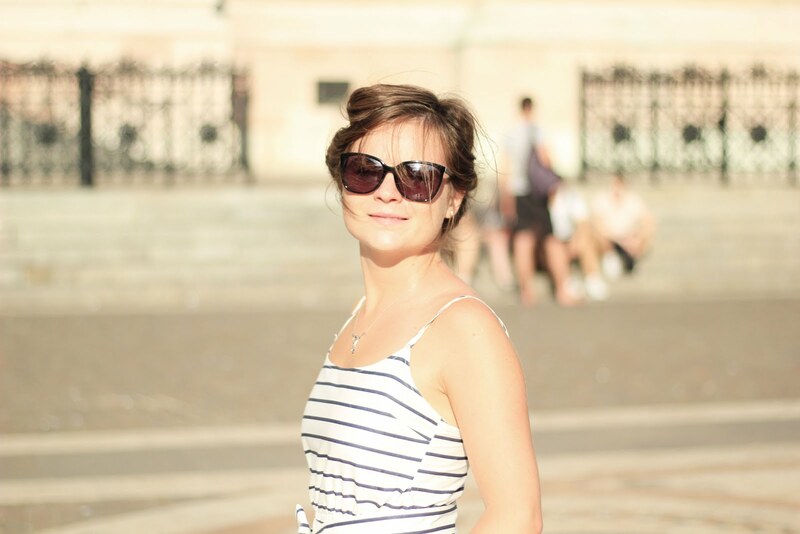 I am 5'2'' so introducing size XS would be a spot on idea for me. Size S was ok at first but with time I've noticed that tights started to slightly roll down. I would prefer to have a chance to pick a tighter hold. How to make tights last longer? Stop a run with nail polish or hair spray. Hand wash them or do it on a delicate cycle. Let them dry out naturally. Will I subscribe to Legwear Co.? If I did not already have over 30 pairs of new tights waiting to be used, yes I would as I do love my dresses but I like to be warm even more. However, first I need to manage the hefty tights collection I've got. Check what others have to say, Estelle and Sarah reviewed them too.